NickYanka Did Baraatiyon Ka Swagat With The Coolest Guide To Indian Weddings! How would you explain the rituals and ceremonies of a big fat Indian wedding to someone who is used to tuxedos and slow dancing? 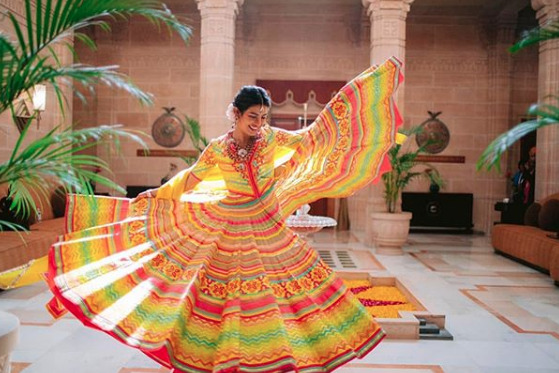 Well, there might be a million ways to do so but we love the way Priyanka Chopra made it so comfortable and easy for her baraatis to follow all the Indian traditions at Umaid Bhawan Palace. Our desi girl's wedding itinerary included a manual titled Indian Weddings For Dummies. Yeah, you read that right! The manual had tiger and tigress illustrations on it that made it easier for the international guests to understand the guidelines and made the guide look fun. It had all the basic information for the ladke wale to feel involved and get through an Indian wedding. The manual explained every tradition like baraat, aarti and milni in detail with a short paragraph. Priyanka also made sure that the language differences don't become a barrier for Nick Jonas and his family. The basic Hindi vocabulary was also written on the manual like 'How Are You? - Aaap Kaise Ho? 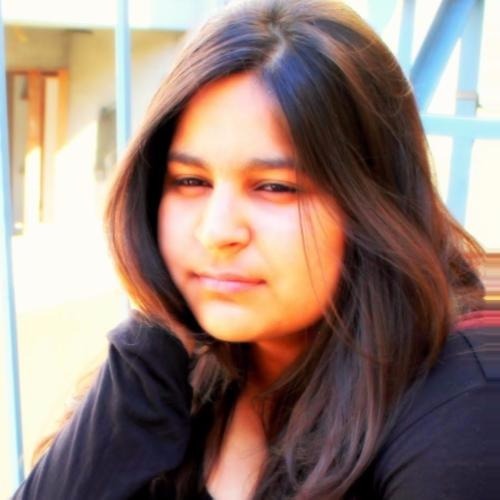 ', 'Yes - Haan' and so on. After Priyanka Chopra and Nick Jonas's marriage, every guest received a personalised thank you note for making the occasion so special for the bride and groom. The beautiful note was signed by Priyanka and Nick. Well, our happy bride PeeCee sure knows how to both, respect and spoil her guests with love at the same time! 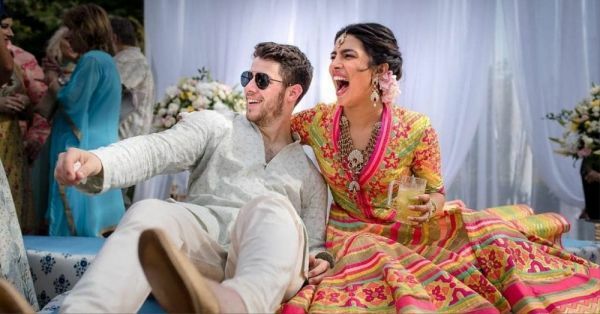 Not only did NickYanka planned the ceremonies perfectly, they also made sure that their guests have a blast. 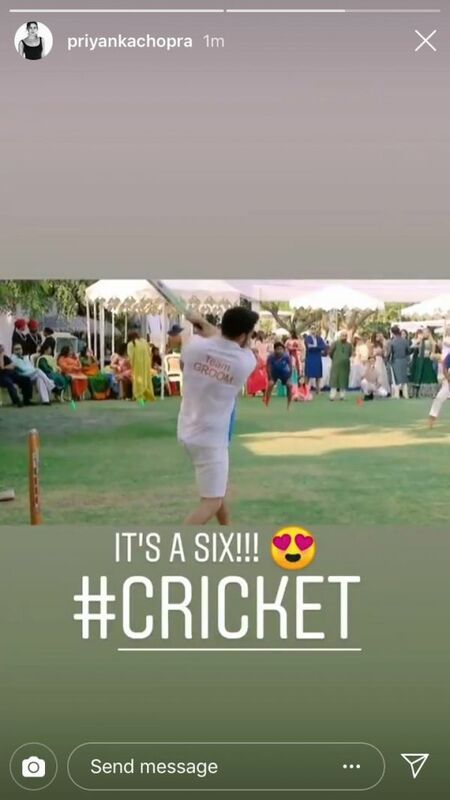 And what better way to break the ice than cricket! 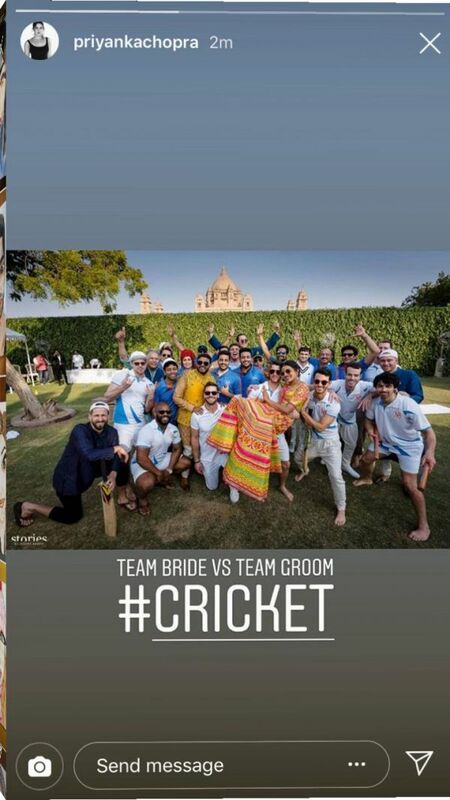 Priyanka shared stories on her Instagram of Team Groom and Team Bride and it looks like so much fun. We can’t wait to know who won!